With the world championship only a few weeks away, I always get in the spirit of playing football games. All my life I have been a big fan of football, it is the only real sport that I enjoy watching and even have played myself for 10 years of my life. 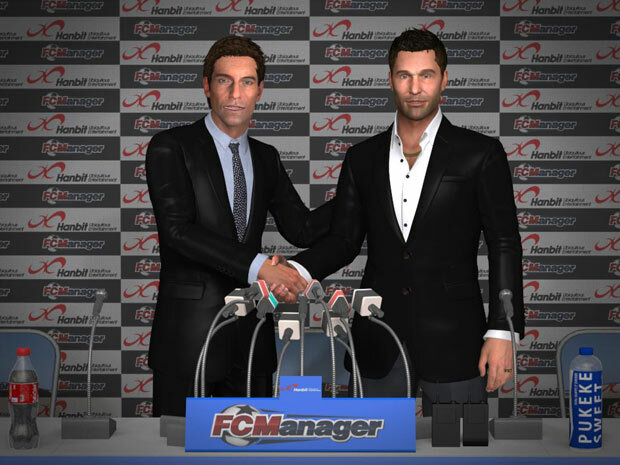 Needless to say, I have played almost all of the football games released until this day, and when I got the chance to be among the first to test out FC Manager, a new football manager online title involving direct competition against other players, I couldn’t let the opportunity pass. It is no real secret that football is probably the biggest sport in Europe and is certainly in the running on a global scale, but FC Manager seems to have zeroed in on European teams as your starter options. Once you have chosen a country, and the city you want to start in, you will find yourself with your new randomly selected players in the Rookie league of said area. This is where scouting and player recruitment comes into play. Just like in most football manager games, you will find yourself with a handful of players that are considered talent, and the rest are mostly filler. Replacing the weaker players as soon as possible is your top priority in order to advance to the higher leagues quickly. Building a half decent team though isn’t all you need to make progress in FC Manager. Once you have the potential to win, it’s time to start playing around with the lineup formation and the tactics. You want to try to build your team around the star players, you want to get the best possible formation along with the best tactics so that your star players are always in the key positions to make winning plays. Besides giving everyone in your team a general tactic, you can also give them individual tactics so that they really play their role to their full potential. Each day you will have to play around six league games; these league games are in the evening for me, but depending on where you live you might find that they are played earlier for you. Either way, it’s a good idea to get your tactics sorted out the day before important matches. 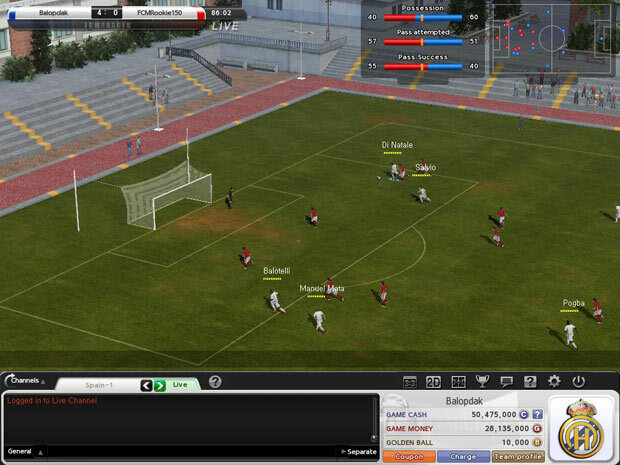 Other than league advancement, there are a few more options FC Manager throws into the mix to keep things interesting. 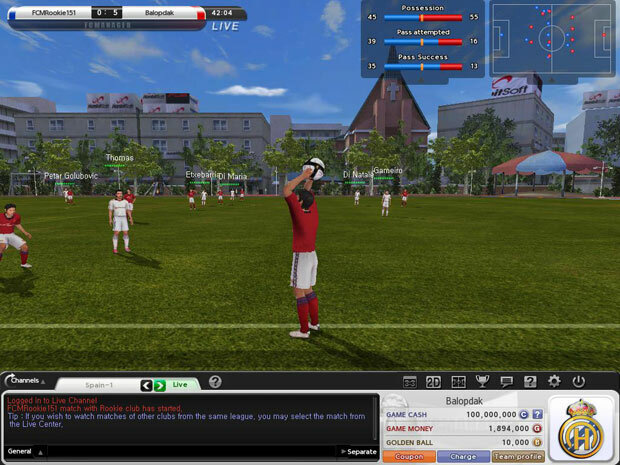 You can play in a few different cups, play single league that is a level dependent cup, or test your skill against a few teams in a practice match that could also earn you a lot of game money. You can also test the skill of your team in ranked matches; each day you are given 15 matches to play and get yourself higher up the ladder. This is a great way to test the overall skill of your team, and if you win or even lose you get quite a lot of game money so it is also a great way to get yourself some profit. As you may have guessed, money is key to success. Just like in real life you will find yourself in the need for money almost always. If you want to get a better team, you need money to attract better players, but don’t forget you also have to pay their contract each 30 days so make sure you don’t jump the gun building an all-star team if you don’t have the free time to keep the bankroll in the black. When the matches are played your assistant will let you know that the game has started and you will be given a few options to watch the game live. You can watch the games in a 2D or 3D perspective, where in the 2D you will find yourself viewing the game from above, and the 3D perspective is close to how it looks like on television. Viewing a few games after every tactic swap is important to see how your players adjust to them, and you can also see the mistakes that they make, which is the most important thing in a simulation game so you know what to improve on. Do remember that this game is heavily focused on managing your own game and thus you do not play the games for yourself. 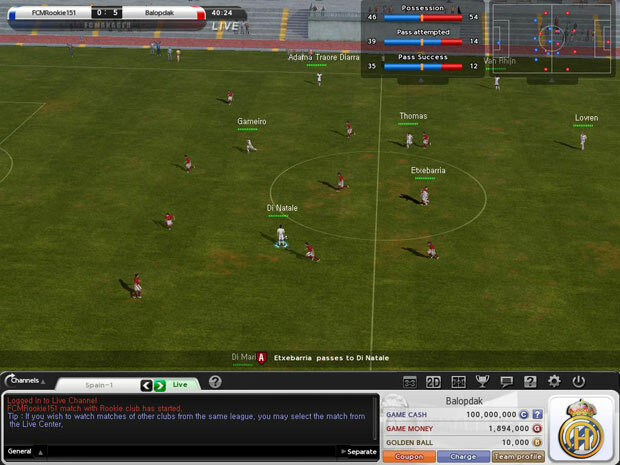 Your players can also level up from earning experience in matches. When they have enough experience they will gain skill points that you can spend to improve their performance. You can also train these players until they’re ready to hold their own against teams of a higher rank. It can be quite time consuming but pays off in the end by allowing you to host an extra star player without paying the hefty price for one. Football is awesome, and so is this game. Right off the bat when the servers opened, I had a lot of fun and spent hours upon hours trying to improve my team. 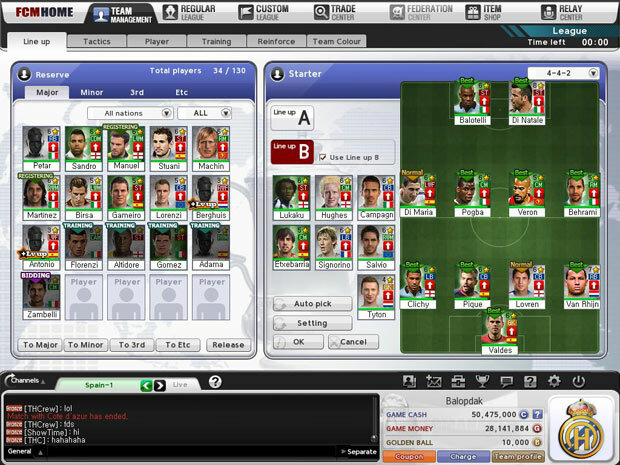 I have always been a fan of football management type games, whether standalone titles or browser games, but each one always felt like it was lacking an element of the sport. 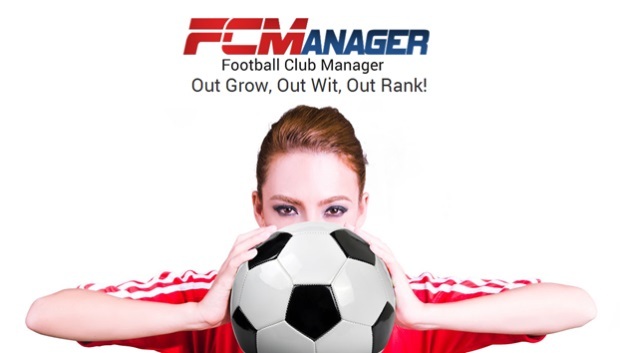 FC Manager lets you take part in just about every aspect of your team, and your efforts reflect in your successes as you climb the ranks and prove your managerial skills to the other players. The best manager tends to win out after all. There are a ton of features that could keep you entertained before the important league matches, and there is always cash to be earned with the different amount of cups and matches. If you are a big fan of football, and occasionally enjoy the manager games like this, you should definitely check out this game.